Anything wrapped in prosciutto has to be great! These are fabulous little appetizers that – once you have made them for anybody – are sure to be requested again. I have made them with both nectarines and peaches – whatever looks best in the market. Grill just until you have beautiful grill marks and the prosciutto crisps up a bit. 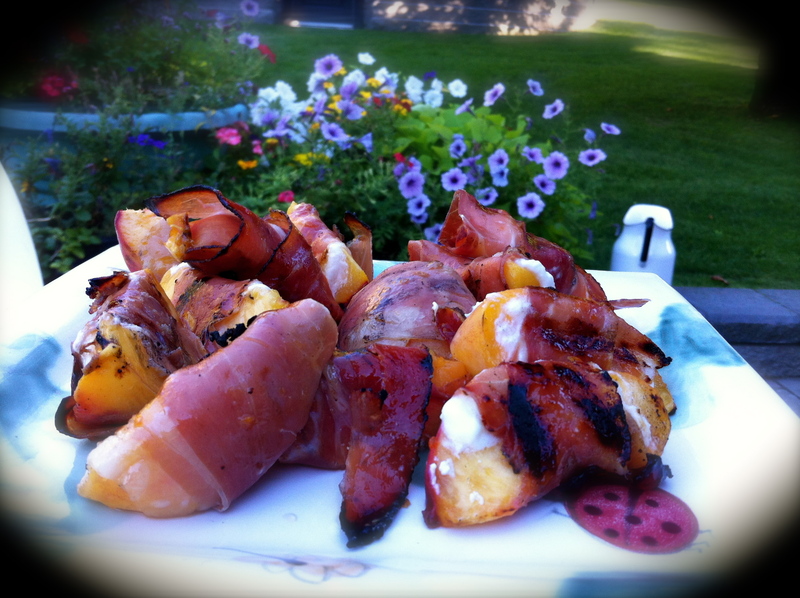 This entry was posted in Appetizers, Grillng, Recipes and tagged appetizers, goat cheese, grilling, nectarines, peaches, prosciutto by Chatty Kathy. Bookmark the permalink.